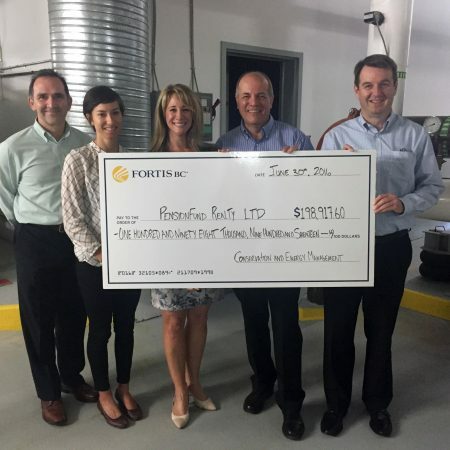 SES worked with Morguard Properties to complete aFortis Energy Study at Coquitlam Centre Mall and then helped them apply for incentives to install a new heat recovery chiller – check out the big cheque! The million square foot shopping mall has a big cooling load in winter, providing a valuable source of waste heat that the heat recovery chiller can draw from to satisfy the heating load in the building. When fully implemented this project is expected to cut two thirds of gas use and GHGs annually. 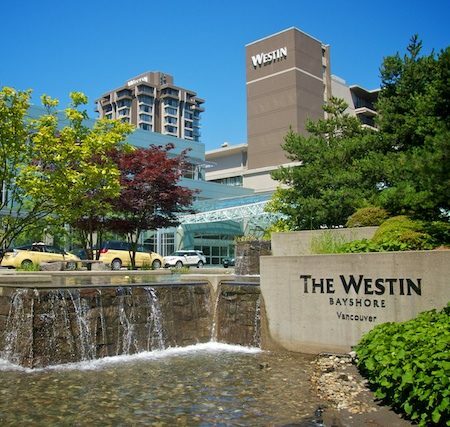 Our Energy Study of this large hotel, pool and conference centre located on the water in beautiful downtown Vancouver, highlighted the tremendous opportunities for conservation that are available in the hospitality sector. SES identified measures that could be considered to reduce energy consumption by more than $300,000 per year with a 20% reduction in water use, a 40% savings in natural gas, and a 15% electricity savings. In particular, we recommended the use of advanced occupancy based control in suites, plumbing fixture upgrades, and mechanical redesign on systems serving kitchens and common area ventilation.